Apple unveiled new products on Wednesday, including a new iPhone and a new iWatch. FBN’s Hillary Vaughn discusses some of the details and the newest features. Apple on Wednesday introduced three new versions of the iPhone, including the premium Xs and Xs Max. The company placed a big bet on the iPhone X, a $999 device that arrived one year ago. Consumer demand for the iPhone has lagged, but the more expensive iPhone X helped drive a 20 percent increase in revenue generated by the smartphone lineup last quarter. The iPhone is the largest contributor to Apple’s top line, accounting for more than half of total revenue. Apple said orders for the iPhone Xs and Xs Max will begin Sept. 14, and the devices will ship beginning a week later. The phones come in three colors: silver, space gray and gold. The iPhone Xs starts at $999 for the 64GB version, while the Xs Max will cost $1,099. The priciest versions have 512GB of storage. The iPhone Xr, a cheaper version also announced on Wednesday, has a starting price of $749. The iPhone Xs Max sports the largest display ever offered on an Apple smartphone with a rounded 6.5-inch screen. The iPhone Xs screen is 5.8 inches. Both phones have “Super Retina” displays with the highest pixel density of any iOS devices. The Xs Max has an enhanced “cinematic” display for improved viewing of videos, movies and games. Apple also touted the iPhone’s durability, saying the front and back glass design is tougher than any other smartphone and is more resistant to scratches. 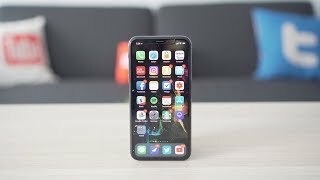 The iPhone Xs will have 30 minutes of additional battery life compared to the current iPhone X. The iPhone Xs Max, which was designed with the largest battery ever used in an iPhone, will get 1.5 hours more. Both the Xs and Xs Max are waterproof, and Apple said the phones are more resistant to water and dust damage than the iPhone X. The company tested the phones in wine, beer, tea and other liquids. 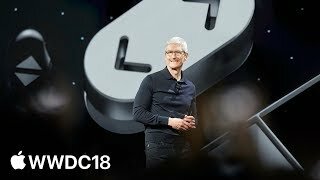 Apple said its new 12-megapixel dual camera system brings more detail to iPhone photos and allows users to take “more sophisticated portraits.” The new iPhones will also have the best video quality of any smartphones on the market, according to the company.Apple added that its Face ID recognition system is now faster and more secure using the TrueDepth camera. Face ID can be used to unlock the device and access Apple Pay.The iPhone Xs and Xs Max will run nine times faster than previous versions using Apple’s A12 Bionic processor. Apple said the new chip can process 5 trillion operations every second.